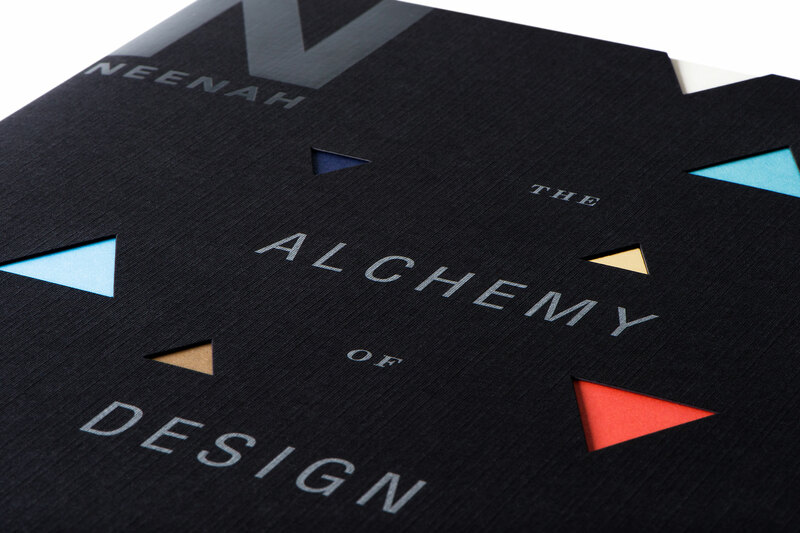 The Alchemy of Design is Neenah’s newest promotion, and yes, it’s another one that’s full of ideas worth stealing. This book was designed by Willoughby Design. (You might remember the Fresh Takes on Classic Type promotion they designed for Neenah earlier this year.) This one gets creative right from the structure of the piece. First, it comes hidden within a mysterious die-cut sleeve. 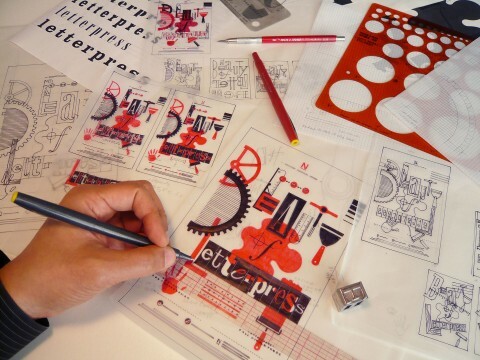 Inside, a large, accordion-style book houses four sample branding projects — with 20+ different printed pieces in all. 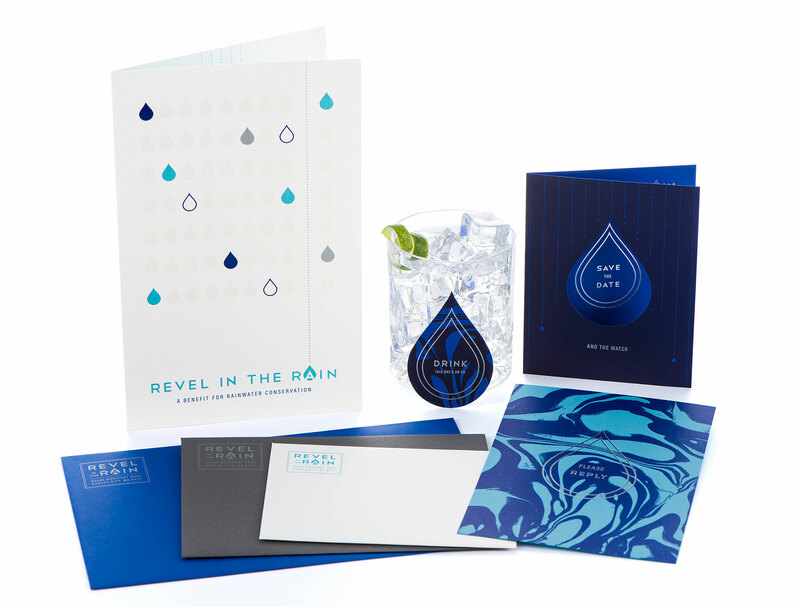 But this promotion isn’t just to showcase printed samples – it is all about using creativity and paper combinations to add impact and help elevate everyday, small, local projects. Alchemy centers around four different project types, each using a creative mix of ROYAL SUNDANCE, ENVIRONMENT and ASTROBRIGHTS Papers to demonstrate how layering colors and textures can transform an ordinary project into something extraordinary. 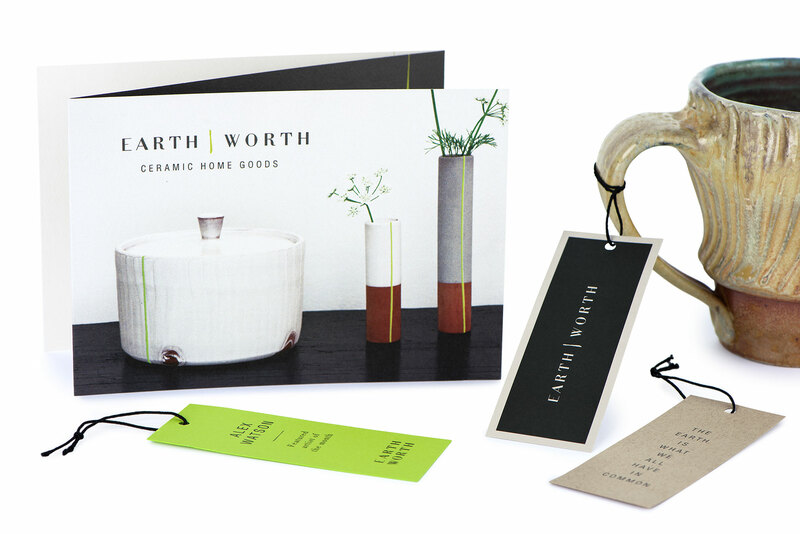 It’s impossible to tell from photos just how beautiful these paper combinations are, or to experience the tactile sensation of the layered textures; you’ll want to get a copy of this amazing promotion for yourself. But for now we’ll take a peek at what you’ll find inside. 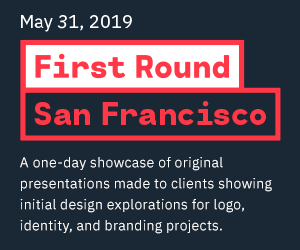 An event announcement can be a design challenge. With much of the budget and planning time being used on the event itself, you’re left with a fast turnaround and the confines of a standard envelope size. Yet, the announcement is a workhorse; it delivers the first impression, creates interest, and drives attendance. Here ASTROBRIGHTS Solar Yellow/Bright White Duplex has a dual purpose for this announcement. 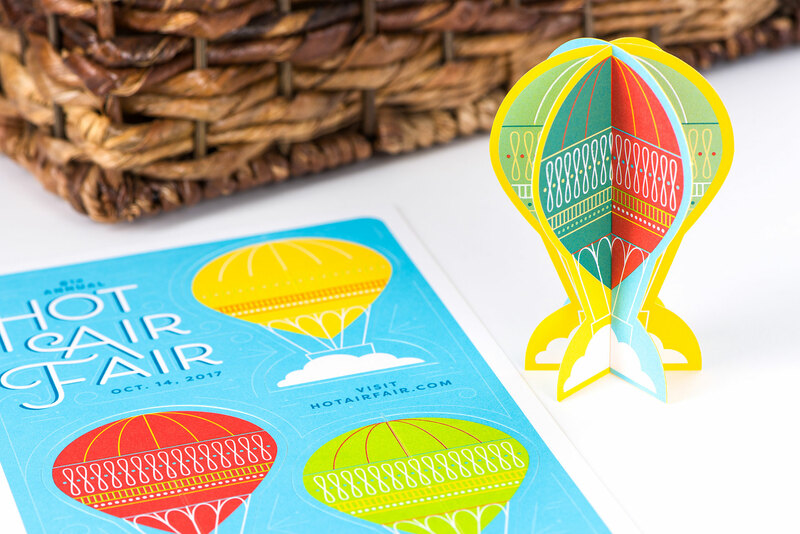 It adds color while providing a weight strong enough to support the design of a die-cut, 3D, DIY balloon. 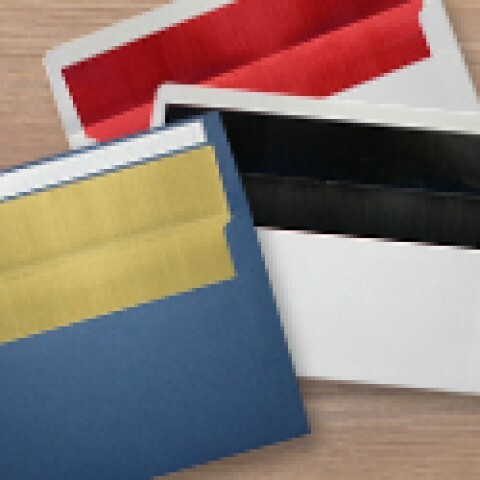 Studies show that colored papers increase response rates by 20%, so an ASTROBRIGHTS Solar Yellow envelope certainly isn’t going unnoticed in the mail pile. Launching a small business startup doesn’t have to mean giving up on a luxurious aesthetic. Triggering emotions and wowing customers with the little touches can be the determining factor in that sale. 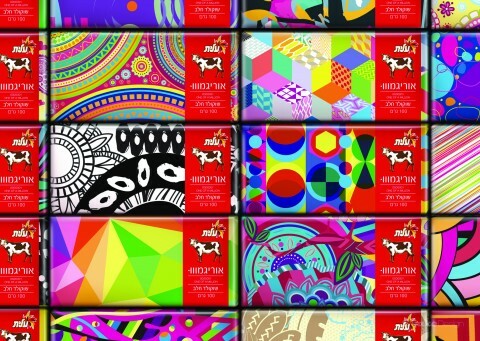 See here how simply combining papers for a hangtag system can depict the essence of the brand story? Here the smooth and natural shades of ENVIRONMENT Stone and Desert Storm are accented by a pop of ASTROBRIGHTS Terra Green, creating the feeling of an organic and natural brand. Adding some toothy texture to the mix is a brochure on ROYAL SUNDANCE with a Felt Digital finish. Does this seem familiar? A save-the-date card with envelope, an invitation with envelope, a response card with envelope, plus a drink ticket. That’s right, count ’em…seven pieces, one fundraiser gala. 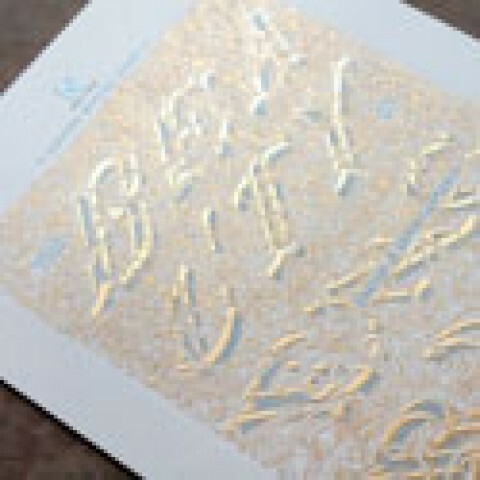 This system delivers its message with metallic ink, silver and iridescent foils, and a combination of all three brands. Who knew ASTROBRIGHTS Blast-Off Blue and Lunar Blue, ROYAL SUNDANCE White, and ENVIRONMENT Wrought Iron could look so sophisticated together? (We wonder what the response statistics are for invitations that deliver the promise of a drink along with the invite!) Nice job, clever little teardrop drink ticket! Realtors might hand out thousands of business cards, but it’s the closing that offers an opportunity to deliver on a brand promise, while leaving a lasting impression. Nothing says “welcome home” like some local cuisine and a good bottle of wine. 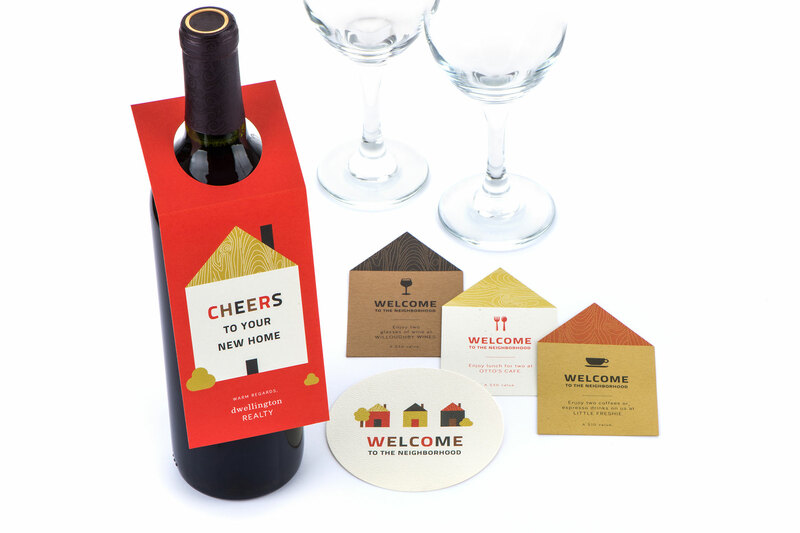 This “thank you” package combines the homey tones of ENVIRONMENT Honeycomb and Grocer Kraft with the cozy touch of ROYAL SUNDANCE to creatively present a high-impact leave behind. The more you look at this promotion, the more you see! 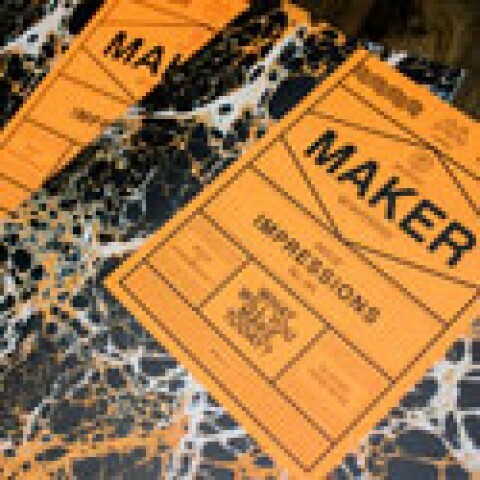 It’s a great source of ideas for designers working with clients using print design as key brand touch points, with a budget-sensitive perspective. Once again, it’s impossible to see just how many ideas there are with these photos. 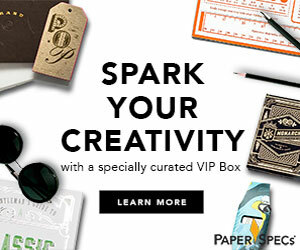 You need to get your hands on one to fully understand how unique combinations of paper and print can yield powerful reactions. 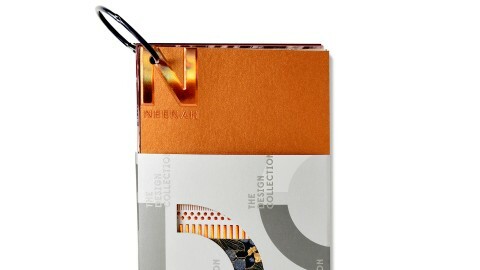 ROYAL SUNDANCE, ENVIRONMENT and ASTROBRIGHTS Papers are all registered trademarks of Neenah.